•For use in Wet or Dry Conditions. 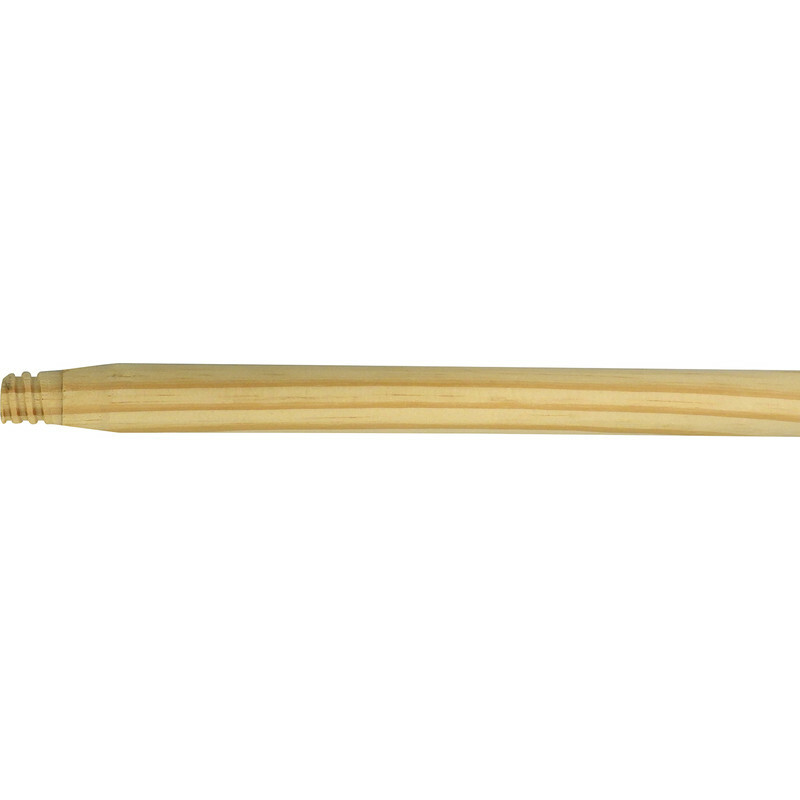 Wooden Broom Handle 4' x 15/16" Threaded is rated 3.2 out of 5 by 59. Rated 5 out of 5 by archu9 from Good quality! I would recommend buying this product, they can also be used as regular wooden dowels and you can even drill holes into it without breaking or cracking it. They are a really good quality, Silverline company delivers it to toolstation I guess and they are a good company. Rated 1 out of 5 by TaysideTiler from Useless. Doesn't fit the brush head specified. Also the one i received was majorly defected with 2 large splits down it. Staff said "it was the best they had" but failed to point it out before leaving the store. Rated 5 out of 5 by Malcolm D from Exactly as ordered. Packageing excellent, delivery as required. Rated 4 out of 5 by markemark from Not used as a broom handle Bought a few of these for use as small marker flag poles. They were completely satisfactory for this purpose, in fact really quite good. So, for this purpose they rated 4 stars. I don’t know how good they’d be as broom handles. One thing, the first few I was offered had visible large cracks in them, I asked the Toolstation staff to select me some without defect and they obliged without quibble. Rated 2 out of 5 by dw_toolstation from Quite a lot are poor quality - some are OK. I've bought a lot of these, often the quality is poor. Not always but in general don't expect too much or make sure you buy in store so you can choose the better ones.